With the calendar moving pretty quickly. 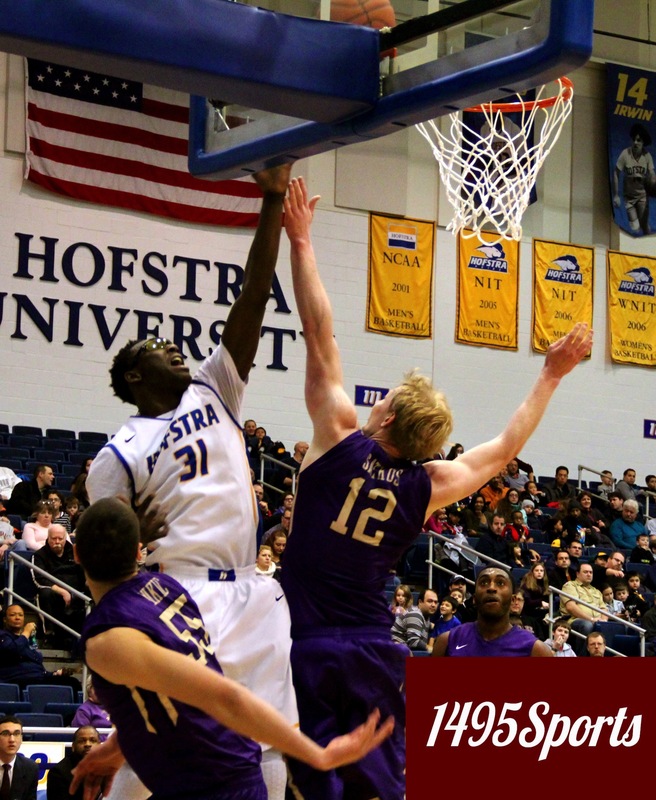 this is the time for the Hofstra Men’s Basketball team to see what they are made off. On Saturday, January 24, the Pride had the lead at the half but let it slip away by dropping a tough 69-63 loss to James Madison. Each game is a test for this team, who are figuring out how to string together some strong play to go into February. Hofstra had not only a chance to move into First Place but also secure a victory over a Dukes team that entered into a game after a loss to Northeastern. Senior Center Moussa Kone had his first double-double of the season (and fourth of his career) with 13 points and 11 rebounds, providing some great energy and aggressive moves to the net throughout the game. Junior Guard Juan’ya Green led all scoring with 16 points, dished out seven assists, while also hitting four three-pointers for the Pride. Rounding out the scoring was Sophomore Jamall Robinson with 10 points. Hofstra closed out the half on a 19-7 run to take a 45-33 lead into the break. During the stretch the Pride found their rhythm from downtown as they connected on four three-pointers. Green had three of his four three-pointers in the run while Robinson added the fourth. Kone scored five points in the spurt as well. The Dukes came out swinging in the Second Half and eventually used a 14-0 run to take their first lead of the game. Leading the way for the scoring for James Madison was Ron Curry who finished with 25 points. With the loss Hofstra falls to a 14-7 overall record and a 5-3 mark in Colonial Athletic Association play, meanwhile James Madison improves to a 12-9 overall record and a 5-3 mark in conference play. Now Hofstra will have a chance to see what they are made of in a vital road trip against William and Mary on January 28, before returning home to host Towson on January 31 at the Mack Sports Complex. The tip between the Pride and the Tigers is set for 8:00 p.m.